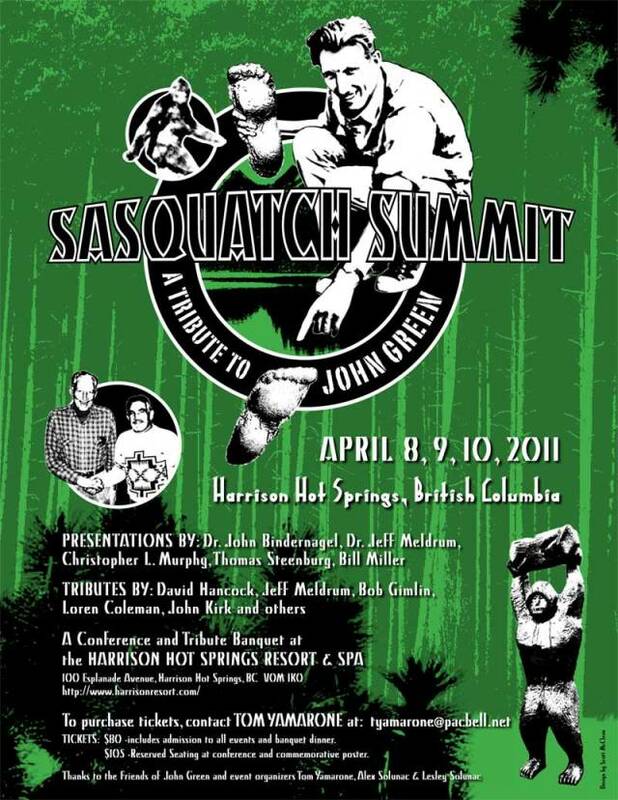 Ticket sales have now ended for next weekend's Sasquatch Summit - A Tribute to John Green. I've had my ticket for a very long time, and I hope that many of you managed to get one. 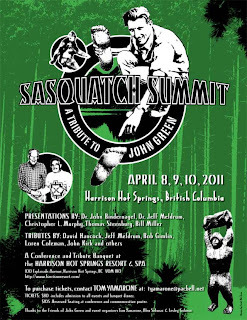 This event might end up being the most fun and important gathering since the Yakima Bigfoot Round Up of 2009. 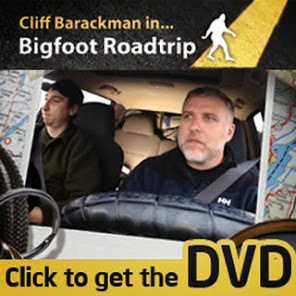 I'll will arrive on Friday evening with field partner and friend of the 'squatch, Craig Flipy. If you see either of us lurking about, feel free to introduce yourself. Ron Morehead, Lesley Solunac and others TBA. I an coming next weekend!!!!!! Can't WAIT!!!!!! LNP why don't your bring the ESP team on up? Cliff, you are making me jealous, man, as I just can't go. We WILL be in Bluff Creek that weekend, however, unless it snows on us.